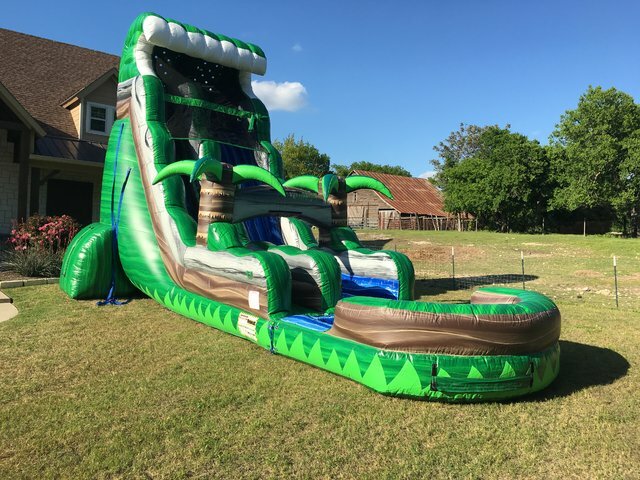 Cowboy Party Rentals offers a great selection of party rentals in Ovilla, TX. We offer bounce houses , water slides, obstacle courses, high peak tents, tables, and chairs. We aim to have the best quality rentals paired with exceptional customer service. We service back yard parties, weddings, school field days, church picnics, large corporate events, and even participate in large festivals! No event is too small or too large! Our goal is 100% customer satisfaction for every order that is placed. We pride ourselves in being one of the area's leaders in entertainment rentals. Our inflatables are purchased from the top manufacturers in the industry. They not only focus on safety but also are very eye appealing! We have themed bounce houses such as Justice League, Disney, Tropical, and even an Unicorn Bounce House Combo themed unit! Our Water Bounce House Rentals are 2nd to none! We have a great variety of styles and sizes to choose from. Our Wet Combo Bouncers are great for younger kids. The single lane combos offer a jumping area, basketball goal, and slick slide! The dual lane combos have a larger jumping area, basketball goal, and a taller slide with two lanes! Need something bigger? Check out our Wet Slides! We have 15 foot, 18 foot, 20 foot, and 22 foot slides ready for your enjoyment! Many can also be rented for dry use during the fall and winter! 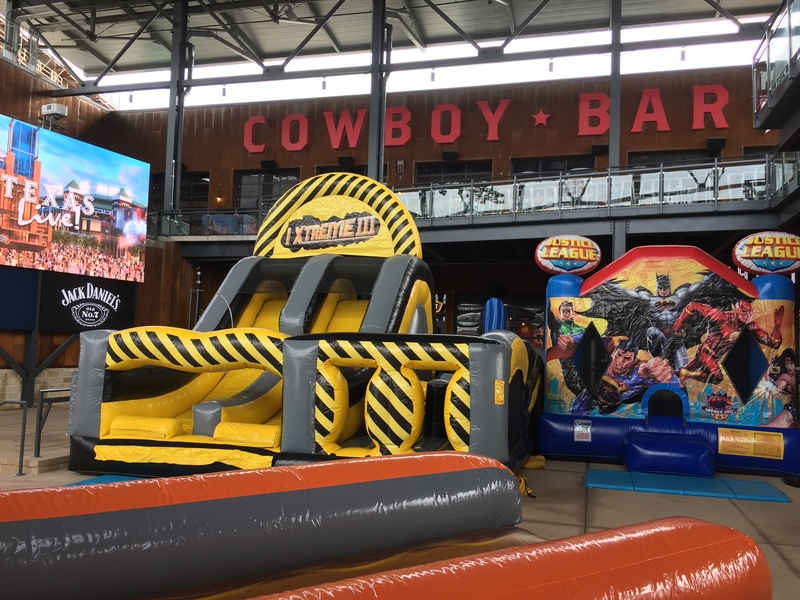 You can't go wrong with a slide from Cowboy Party Rentals! 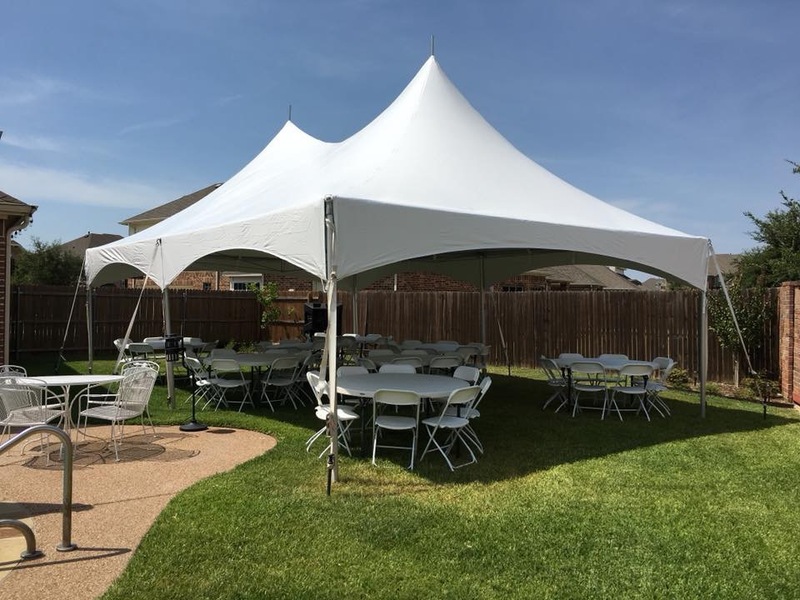 As the Ellis County leader in all things rental, we offer a very diverse selection of tents, tables, and chairs! Our High Peak Tent Rentals offer our customers a chance to add a touch of elegance and class to their event. Whether its a backyard wedding, graduation party, or 50th wedding anniversary, we've got you covered! We offer several types of chair rentals- basic brown chairs, white folding chairs, and even white garden chairs for more formal events. Pair our great chair selections with 6 foot rectangular tables, 8 foot rectangular tables, or 60 inch round tables with matching linens! We even offer patio heaters and cocktail tables! What party would be complete without adding some of our GIANT Yard Games such as Yard Pong, Connect Four, or GIANT Jenga? Having a backyard birthday party or really LARGE festival? Our wide selection of inflatable obstacle courses offer the best bang for your buck! We have courses that range from 30 feet all the way to 135 feet! Surely we have one to fit your need! With crawl tubes, climbing walls, barrel rolls, jump throughs, and obstacle poles, your guests will be entertained for hours! Our inflatables are well built and provide a safe place for guests to have fun. If you are having a school field day, an obstacle course rental is a must get! Pair it with a inflatable slide, an interactive, or a bounce house for the best event ever!